Bulgari fragrance and perfume list. Shop for perfume: Bloomingdale's | Saks | Nordstrom | Sephora - Free Shipping on orders over $50. Plus, 3 free samples with every order! The most celebrated fragrances often inspire nostalgia. But perfumers themselves travel in a very different direction: They forge ahead, coaxing fresh ideas out of classic techniques. ... It's a recipe that transcends scent. Risk takers may fail on occasion, but the moments they succeed are the ones that make the world spin. In the early 1990s, Ellena combined two synthetic materials that recalled the aroma of green tea. 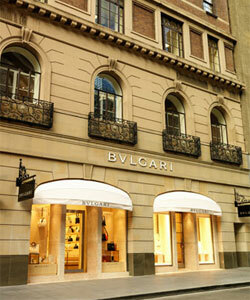 Bulgari commissioned a perfume out of the scent, intending it just as a gift for clients. The result, Eau Parfumée au Thé Vert, was so well received that the brand started selling it. With green tea, citrus, and a smoky wood accord, it had a broad, indefinable appeal. It even provided the blueprint for CK One, the first successful unisex fragrance.